At the end of a long driveway, off a winding road, in a small town in Connecticut, is Tufts Ambulatory Service (TAS). You’ll know you’re in the right place when you see the line of pick-up trucks, trailers, and friendly figures in coveralls. 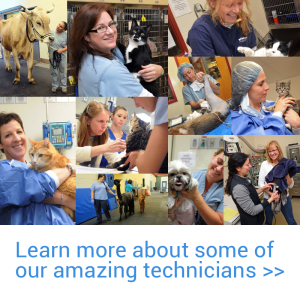 Here you’ll find eight veterinarians, three staff, a constant rotation of veterinary students, a variety of farm animals, and one very busy veterinary technician. That’s Jen Lucy. 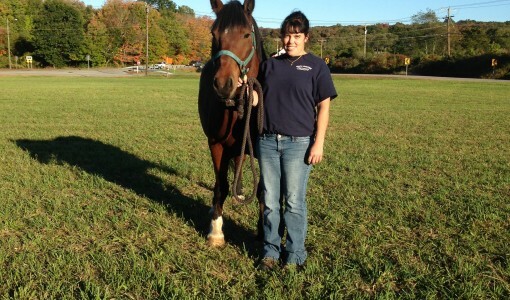 Since her childhood on a dairy farm in Connecticut, Jen has spent her entire life around large animals. After studying Animal Science at UCONN she went on to work at a bovine private practice for two years, and at our own Hospital for Large Animal for three years. 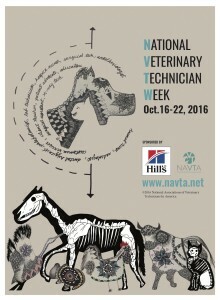 Now in her third year at TAS, Jen puts her unique skill set and vast knowledge of large animal medicine to good use. Jen assists Dr. Lindell in bovine IVF. 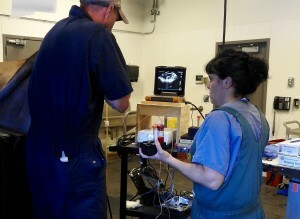 A typical day can find Jen assisting on farm calls, or with surgeries, or assisting with a surgery while on a farm call. She might be processing lab samples, or running anesthesia for small ruminant procedures. You could find her assisting with bovine in vitro fertilization (IVF), a specialty service of TAS. Or, she might be in the back, organizing and ordering medications and materials, coordinating farm calls, and preparing health certificates. Jen brings a strong work ethic to whatever she does, something she credits to her love of animals and passion to help them. For her unique skill set, passion and work ethic, we salute her!